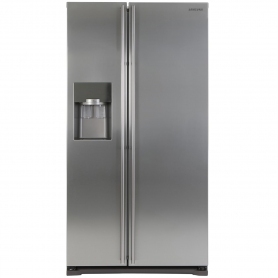 This stylish Samsung side by side fridge freezer will look great in your kitchen, and comes with a range of features to keep food perfectly chilled. 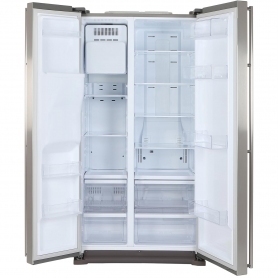 An American style fridge freezer like Samsung’s RS7567BHCSL offers a lot of storage space for all chilled and frozen products. 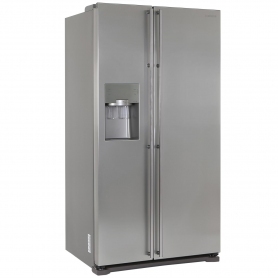 The freezer has a generous 171 litre capacity, and the fridge gives a whopping 361 litres. You’ll never have to worry whether you can fit that tub of ice-cream into your freezer again. With five shelves and two drawers inside the fridge, there are lots of options to arrange all your food exactly as you want it. Three door pockets provide plenty of space for small products like butter and cheese, plus tall bottles and cartons. You’ll find the perfect place for that special bottle of wine in no time. Samsung are known for innovative design, and they bring this to the RS7567BHCSL. 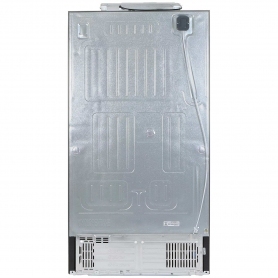 Multi Flow technology blows cold air through vents located on each level of the fridge, ensuring an even and consistent temperature is maintained. Nearly all fridges have a light in them, but the RS7567BHCSL takes this to the next level with LED Tower Lighting. This column of light located at the back of the fridge makes it easy to see on every level, so food is never forgotten in dark corners. Twin Cooling+ allows the fridge freezer to maintain a humidity of 75%, keeping your fruit and vegetables fresh and crunchy for longer. It also helps eliminate odours mixing and changing how the food tastes. Samsung have included a few little extras with the RS7567BHCSL. 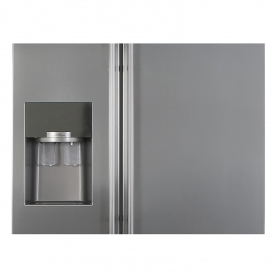 The ice dispenser makes chilling drinks a doddle, and the external LED display helps you manage your fridge precisely. 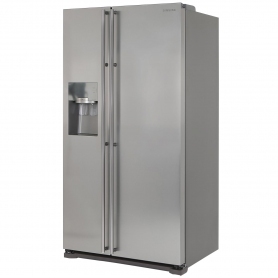 The Samsung RS7567BHCSL also comes with a 4 star freezer rating, so you can be assured of the appliance’s performance. 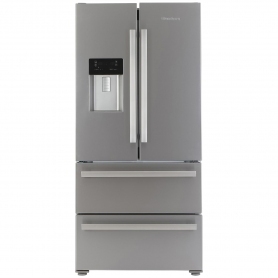 If you want a spacious fridge freezer with lots of handy features, the RS7567BHCSL from Samsung is perfect for you. Order yours today.